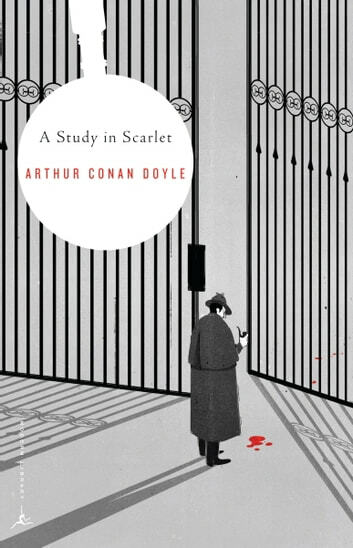 In 1887, a young Arthur Conan Doyle published A Study in Scarlet, creating an international icon in the quick-witted sleuth Sherlock Holmes. In this very first Holmes mystery, the detective introduces himself to Dr. John H. Watson with the puzzling line “You have been in Afghanistan, I perceive,” and so begins Watson’s, and the world’s, fascination with this enigmatic character. 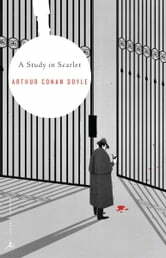 In A Study in Scarlet, Doyle presents two equally perplexing mysteries for Holmes to solve: one a murder that takes place in the shadowy outskirts of London, in a locked room where the haunting word Rache is written upon the wall, the other a kidnapping set in the American West. Picking up the “scarlet thread of murder running through the colourless skein of life,” Holmes demonstrates his uncanny knack for finding the truth, tapping into powers of deduction that still captivate readers today.